Sometimes Sweet: Oh, to be 25 again! Oh, to be 25 again! I'm extending my holiday weekend for one more day to celebrate Amber Joy's 25th birthday! I'll be getting back into the swing of things tomorrow (I have so many emails to respond to and Christmas photos to share! 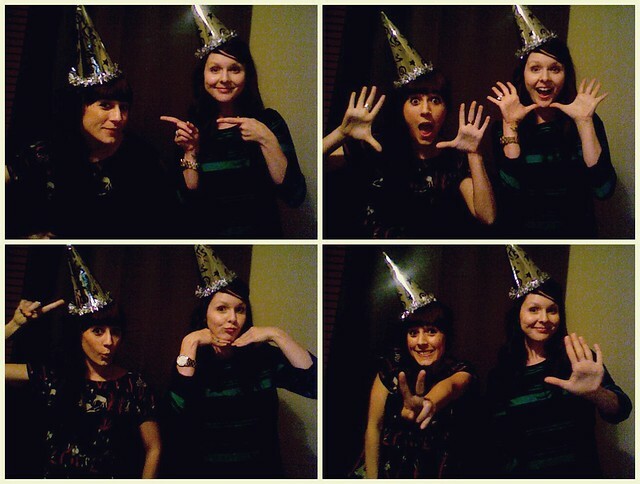 )...but until then, I'll be wearing a party hat and toasting to Amber turning a quarter of a century. Happy birthday little lady! Happy Birthday Amber Joy! I hope you two have a great night partying it up! Happy Birthday, Amber Joy!! !My wife turned 25 this year, it's a great age!!! <3 Enjoy and HAVE A GREAT BIRTHDAY!!! Aww So cute! Happy Birthday Amber! Happy birthday to Amber. Hope you & your family had a fab Christmas Danielle!